Avila feels he was put on this earth to give back, and he has done so in many ways. Currently, the longtime Yucaipa resident serves on the city council as its Mayor Pro Tem and is also heavily involved in Rotary, Knights of Columbus, and the Yucaipa Valley Historical Society. That only scratches the surface. Avila graduated from Cal State Fullerton before enrolling in the Fire Academy at Crafton Hills College as a member of Academy Class No. 3. He completed the program in 1983 and spent decades in the fire service in both Riverside and San Bernardino Counties before retiring as battalion chief for the Riverside County Fire Department in 2011. 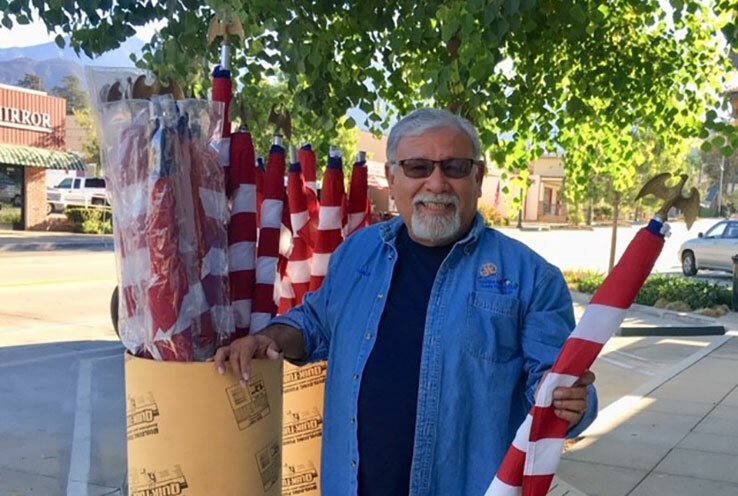 Although retired, the “lively” 66-year-old continues to be active in Yucaipa on the council and through several volunteer service-oriented projects. Much of the work is done within miles of Crafton which he speaks of fondly when looking back at his time on campus. Although Avila is a busy guy, he enjoys spending his free time with his longtime love, Ellen Benefiel, and their blended family. He is also a fan of encouraging others to never stop learning and to keep moving forward.